Fantastic, as in the picture! Bought these hoping they'd match my own eye color a little bit, and they do! they look pretty natural for circle lenses. they're a nice color, and a good fit. comfortable. Love the color but these ones are way too dry for my eyes. 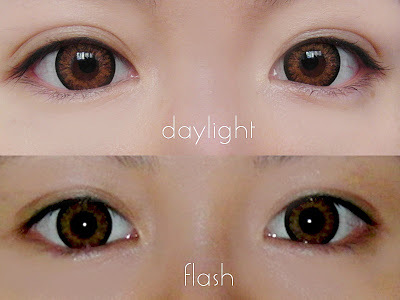 These lenses are gorgeous and super comfortable to wear for even long periods of time. I have dark brown eyes and these show really nicely as a slightly unnatural orange-brown, but it's very pretty. Too big for my eyes. I dont look natural at all.